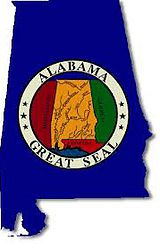 Are you currently covered under the AL State Insurance Plan? No need to bring anything but yourself and your insurance card and let us take care of the rest. We will take care of all the paperwork and reporting needed for you or your loved one after the screening is complete. FMS Pharmacy is an accredited SEIB Wellness Screening site and provides these screenings at no cost to you or your spouse. Having an annual wellness check saves you money on your monthly insurance premium! Screenings are performed by Appointment!